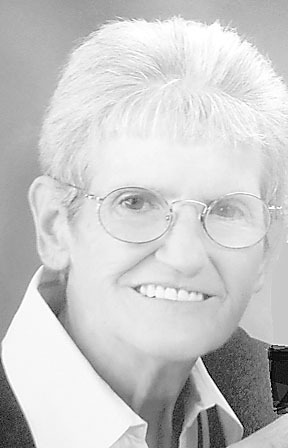 Edna R. Yoder, 83, of Allensville, passed away at 5:15 a.m. on Friday, Feb. 8, 2019, at her home. Born in September 1935, in Mount Union, she was a daughter of George R. Edgin and Ruth E. (Carter) Edgin. She married her surviving husband, John W. Yoder Jr., on Dec. 18, 1954. She is also survived by: children, Leon G. Yoder and wife, Annette, of Mill Creek, Mrs. Robert Rose Leonhart, of Texas, Sharon D. Yoder, of Allensville, Larry J. Yoder, of Mill Creek, Raymond L. Yoder and wife, Verna, of Allensville, and Gregory S. Yoder and wife, Rose, of Allensville; 12 grandchildren; 11 great-grandchildren; and sister, Margaret Taylor and husband, James, of McVeytown. She was preceded in death by: three brothers, Jesse J. Edgin and wife, Adelle, Jacob S. Edgin and wife, Ethel, and George R. “Tony” Edgin Jr. and wife, Mary. She was primarily a homemaker and had previously worked as a cook and kitchen helper at Country Village Restaurant for seven years. She was a fixture in Allensville, often seen walking and serving others. She enjoyed canning, baking, cooking and working in the garden. She was a member of the Allensville Community Church. Her viewing will be held from 6 to 8 p.m. on Thursday, Feb. 14, 2019, at Henderson Funeral Home, Belleville. Her family will also receive friends from 11 a.m. until noon on Friday at the church. Her memorial service will be held at noon on Friday, Feb. 15, 2019, at Allensville Community Church, with Pastor George “Buddy” Baird officiating. Burial will be private and at the convenience of the family at Otelia Mennonite Cemetery in Mount Union. Should friends desire, memorials may be made to: Allensville Community Church, P.O. Box 130, Allensville, PA 17002. Arrangements are under the care of Henderson Funeral Home Inc., 3813 West Main St., Belleville, PA 17004.